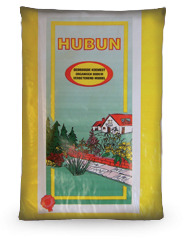 Dried manure Fertiliser is available on a cow or chicken manure basis. Dried manure Granules are suitable for fertilising decorative gardens, vegetable and fruit crops. This is a 100% organic product that is converted slowly in the soil, ensuring long-term availability of nutrients for the plants. The granules can be used throughout the year, but are mainly used as storing fertilisers in autumn and starting fertilisers in spring. We recommend equally dividing the granules in accordance with the dose indicated on the package. Dried manure Granules are available in bags of 10, 20 and 25 kilograms. Order dried manure granules directly through our order form!